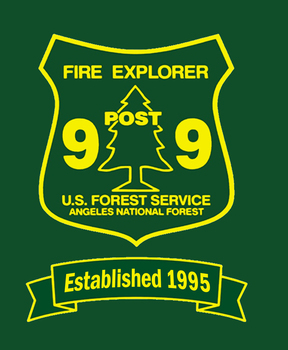 Angeles National Forest Explorer Post 99 is the 1st Wildland Fire Explorer program in the U.S. and is 1 of 3 Explorer posts on the Angeles N.F. 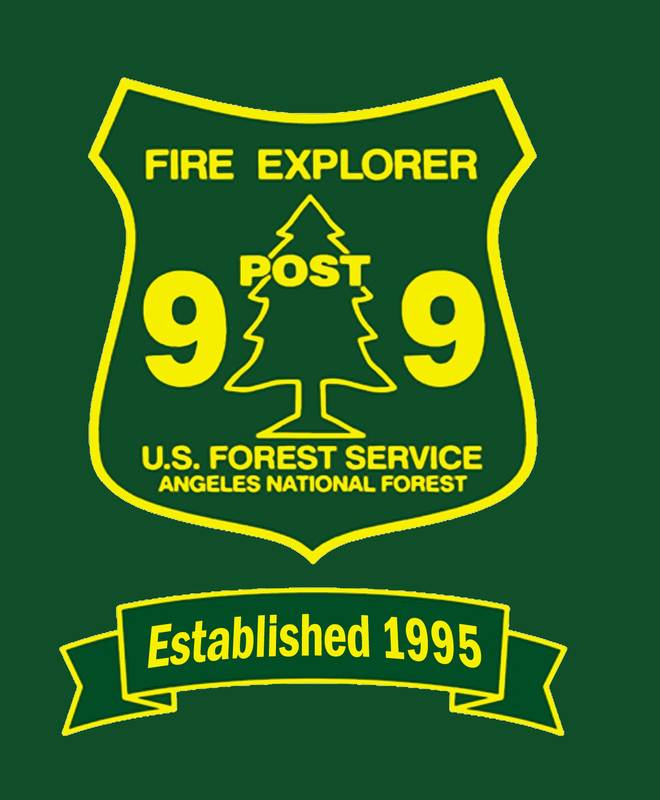 In 1995 the Angeles National Forest and Boy Scouts of America established an Explorer Post on the Angeles National Forest. The Explorer Post is a year round program with weekly meetings held on Wednesday evenings. Our Wildland Fire Explorer Post focuses on techniques used in wildland firefighting, investigation, fire science, fire engine operations, hand crews, mop-up, prevention, and much more. There is an annual Explorer Post Academy held in Feburary/ March time frame for those Explorers who are at least 16 years of age. This academy includes Explorers from other agencies and is held Friday through Sunday for four consecutive weekends. At the end of the academy the graduating Explorers will be certified to fight wildland fires. Provide Wildland Fire Service experience and training to young men and women from the greater Los Angeles County Area. To become a member you need to be between 16-21 years of age, attend our weekly wednesday meetings (1700-2000hrs. ), Pay a one time $80 Registration fee, and have a willingness to learn Wildland Fire strategies and tactics. 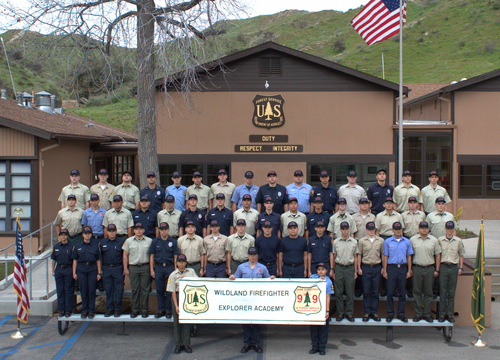 Our Wildfire Explorer Academy is the Only Wildfire Explorer Academy in the U.S.
Our Academy is a Nationally Recognized Program with a high success rate of employment in the Fire Service for Academy Graduates. The Academy is an intense 120+ hour residential academy.